Laura Sophie Stanszus, born 1984, studied business administration in Berlin and Singapore (BA) as well as Corporate Social Responsibility (MSc) in Nottingham, UK. In her research, she focused on the substance of sustainability in the fashion industry as well as the discourse of youth consumers about green fashion. As part of an internship in the CSR department of Ernst & Young India, she conducted a survey on the correlation between the rise in disposable income of the Indian middle-class and consumer awareness of organic food and fair trade. 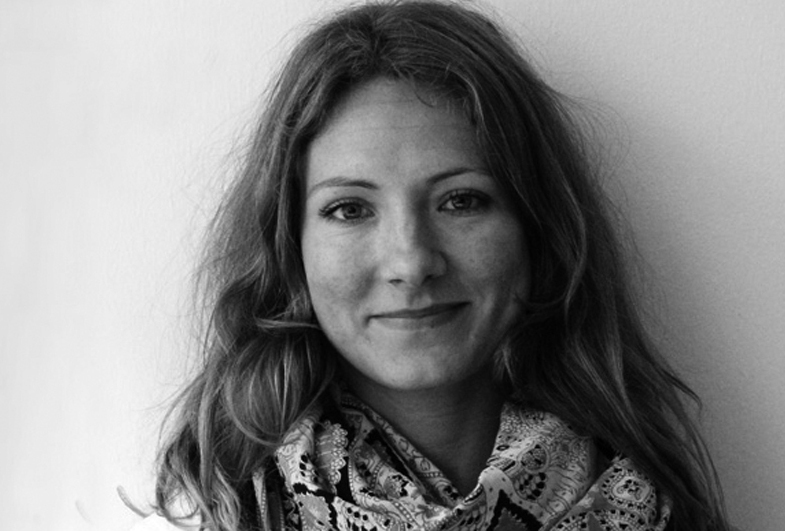 After her studies, Laura Stanszus helped building up the master programme Sustainability in Fashion at the International University of Art for Fashion, ESMOD Berlin. From March 2012 onwards she works in the project "live and work sustainably", which is funded by the German Federal Foundation for the Environment (DBU) (scheduled until 06/2014). From March 2015 until February 2018 she has been working in the project “Education for Sustainable Consumption through Mindfulness Training (BiNKA)” funded by the Federal Ministry of Education and Research (BMBF). Additionally, she does her PhD dedicated to the project theme. Stanszus, L., Fischer, D., Böhme, T., Frank, P., Fritzsche, J., Harfensteller, J., Geiger, S. Grossman, P., Schrader, U. (2017). Education for Sustainable Consumption through Mindfulness training - Development of a consumption-specific intervention. Journal for Teacher Education in Sustainability. Fischer, Daniel; Stanszus, Laura; Geiger, Sonja; Grossmann, Paul; Schrader, Ulf (2016): Mindfulness and Sustainable Consumption: A Systematic Literature Review of Research Approaches and Findings, in: Journal of Cleaner Production. Harrach, Christoph; Schrader, Ulf; Stanszus, Laura; Muster, Viola (2014): Studie zu nachhaltigkeitsorientierten Mitarbeitern - Nachhaltige Werte am Arbeitsplatz lohnen sich. In: Ökologisches Wirtschaften, 1 (29): 12-13. Stanszus, Laura; Iran, Samira (2015). „Sustainable fashion“. In: Idowu, Samuel O.; Capaldi, Nicholas; Fifka, Matthias S.; Zu, Liangrong; Schmidpeter, René (2015): Dictionary of corporate social responsibility. CSR, sustainability, ethics and governance. Cham: Springer. Stanszus, L. (2017). Effects of a consumption-focused mindfulness training – qualitative evaluation of an intervention study. Präsentation auf der SustEcon conference - The Contribution of a Sustainable Economy to Achieving the Sustainable Development Goals. Berlin. Stanszus, L. & Frank, P. (2017). Qualitative analysis of a consumer-focused mindfulness-based intervention – a comparison of methods. Präsentation auf der Global Research Forum Conference on Sustainable Production and Consumption, Brighton, UK. Stanszus, Laura (2016): Du bist, was du isst- Achtsamkeit und Nachhaltiger Konsum im Bereich Ernährung. Workshop auf dem YoungVision Festival, Einbeck. Stanszus, Laura (2015): Education for Sustainable Consumption through Mindfulness Training (BiNKA). Präsentation im Summer Research Institute, Mind & Life Europe, Fraueninsel, Chiemsee. Schrader, Ulf; Fischer, Daniel; Stanszus, Laura (2015): Mindfulness and the Interplay of Affection and Cognition in Consumer Education. Präsentation auf der PERL International Conference: A Decade of Responsible Living: Preparing, Engaging, Responding and Learning, Paris, Frankreich. Stanszus, Laura (2014): Projektvorstellung und Diskussion Forschungsdesign. Netzwerktreffen „Achtsamkeit in der Pädagogik“, Berlin. Stanszus, Laura (2014): Education for Sustainable Consumption through Mindfulness Training - BiNKA. Präsentation auf der Degrowth Konferenz, Leipzig. Stanszus, Laura (2014): Education for Sustainable (Non-) Consumption through Mindfulness Training?. Präsentation auf dem International Centre for Anti-consumption Research- ICAR Symposium, Kiel. Stanszus, Laura (2014): Education for Sustainable Consumption through Mindfulness Training. Präsentation im Summer Research Institute, Mind & Life USA, Garrison (NY).